BEER HALL - Zipline Brewing Co. This is our take on a classic German beer hall, where the community comes together to share their days over a common table. 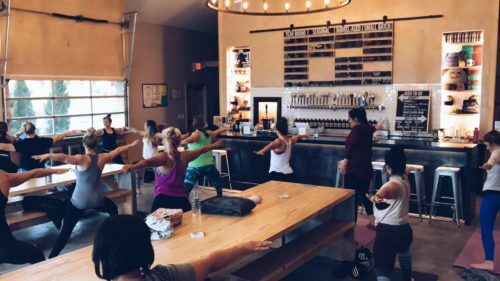 Here we stress our community connection through offering Bottoms Up Yoga, The Brave New Running Crew, and interactive games of all kinds. Food is available on-site via a passthrough window from Art & Soul. Private Room is available for $35/hour for no more than 3 hours. The room will facilitate up to 8 people comfortably seated. This room works great for small parties, food placement, small business meetings, etc.